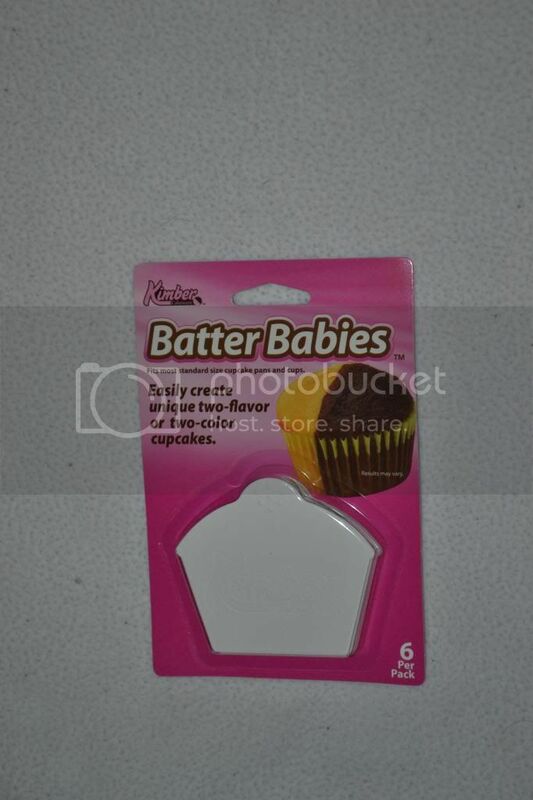 Mommy Moments with Abby's review of Batter Babies: I love things that offer me a 2 in 1. Since I am stuck making two flavors of cupcake during my 9 days of insanity anyway I like that I can give everyone a little bit of what they like. This means I can make one run at the cupcakes, one decorating binge, one frosting binge, and just freeze the one's not being used that day for later. Cuts down on time for me and no arguments on flavor from the peanut gallery. Yeah, I have a busy 9 days, to increase the insanity for you I have another birthday and new years in the week after those 9 days. My house looks like an explosion of wrapping paper and cupcakes during this time. So, anything to make it easier. This was very easy to use for me. I could just slide it in my cupcake holder using the ridges to keep it in place and fill with my flavors of choice! Remove and repeat until my tin is full. Then I toss this in the top shelf of my dishwasher to clean! Easy and gives me a unique cupcake! This isn't just good for people in my situation, but this would make some awesome Halloween or Christmas Cupcakes. Put some food color in the mix for desired colors and instead of frosting put a piece of candy on top for decoration! I think this is a great idea and wish I would have thought of it!